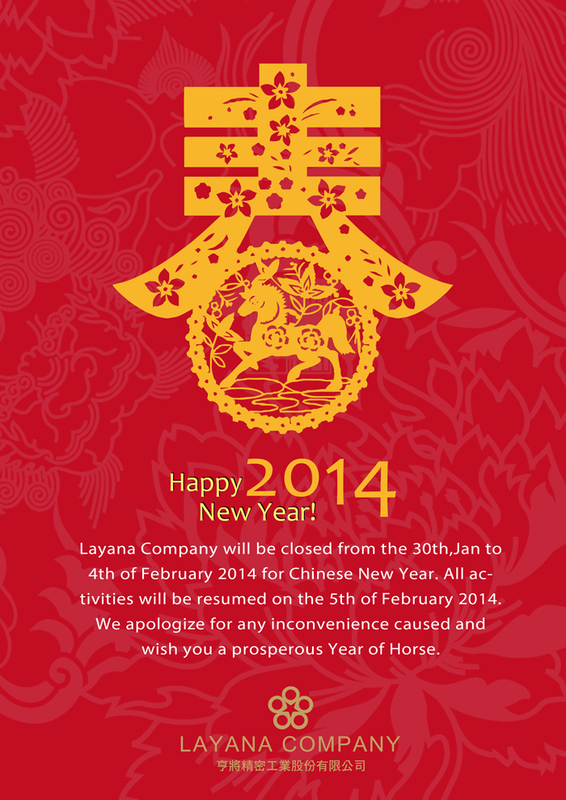 Layana Company will be closed from 30th,Jan. to 4th, February for the national holiday. Layana will resume normal office hours on 5th, Feb.